When it comes to posting bail there are four general ways in which a person may be released from jail. The bail amount is set by the judge, who takes several factors into consideration when deciding on this figure. They will look at the the defendant's criminal history, the crime they are currently charged with and assess them to find out if they are a flight risk. Should the judge find no reason to deny bail, a bail amount will be set. At this point a person can post bail using one of the following methods. You can use cash to post bail for a friend or loved one. If you select this method you will need the full bail amount upfront. It is important to understand that some crimes can result in bail fees that are in the thousands, tens of thousands or even hundreds of thousands of dollars. Many people don't have this sort of money laying around, which may make it necessary to use a different bail method. You can post bail using real property, such as a house, land, vehicles, jewelry, firearms or anything else of value. Like when using cash, this will be returned to you (or not confiscated) upon the settlement of the case. A judge may issue a personal recognizance bond for a defendant, which means they are let out on their own accord and no bail money is necessary. This generally only happens for first time offenders who are accused of nonviolent crimes. 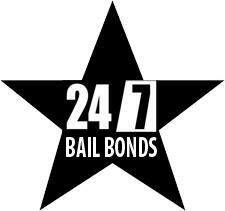 The last way to post bail is to contact a bail bond agency. A bail agency will charge a one time fee of about 10 percent of the total bail amount to get your loved one released from jail. After posting bail, in any way, it is important that the defendant appears at each and every one of their court dates. It you need to post bail in San Rafael or the surrounding California communities reach out to the friendly agents at 5 Star Bail Bonds. For more than 50 years we've been helping people get their loved ones of jail fast by issuing bail bonds. To learn more about the bail process or to get a San Rafael bail bond call us right away at (415) 479-4800.